A corporate bond is a bond issued by a corporation in order to raise financing for a variety of reasons such as to ongoing operations, M&A, or to expand a business. The term is usually applied to longer-term debt instruments, with a maturity of at least one year. 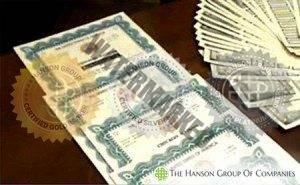 The Hanson Group works with a team that is experienced in creating corporate bonds and place them in Euroclear so it’s easier to be used as collateral for a loan. The best bonds are backed by in-ground reserves. 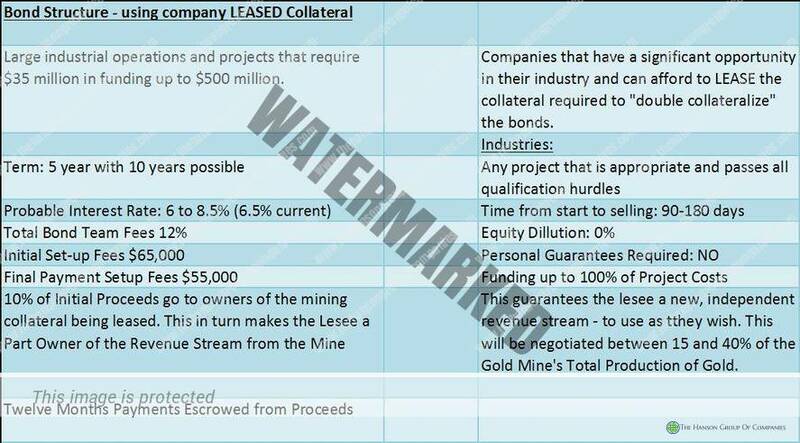 These reserves are proven and can include Oil, gold, or other commodities that are proven to have a stable environment. The confirmation of these reserves is through NI 43-101, which is typically through the gas industry. However, these ascertain resources wealth and is useful in financing successful commercial bonds. If you are interested in commercial bonding, with in-ground reserves and/or any other type of corporate bonds, contact us today to see what your options are. Selling Bonds: The market is accepting of bonds, but they have to be registered on Euroclear, prepared, and sold by a team that has the experience. There is a definite demand in the market, and many bonds can be sold easily, especially in large lots. What is the application process: Those that want to take part in these financing options should contact the Hanson Group, with an executive summary.